No deadline; applications are accepted as they are received. Applications take 6-8 weeks to be processed. Applications are done online, see link below. 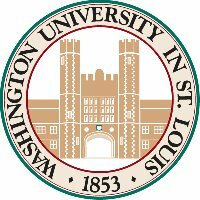 The Master of Public Health program at Washington University’s Brown School offers four, full-tuition, merit-based scholarships to top students who have demonstrated academic achievement, leadership, and commitment to improving the health of individuals, communities, and populations locally, nationally, and internationally. One Full-tuition Scholarship in Health Communications Changing health behaviors is critical to improving individual and community health, the Brown School’s MPH program will award a full-tuition scholarship to students interested in combining interests in communications, journalism, marketing, psychology, public policy, sociology and related fields with that of public health. Two Full-tuition Community and Population Health Scholarships The Brown School will award two full-tuition scholarships to those interested specifically in improving community or population health. We will give special consideration to students who have extensive community service experience, including alumni of many service corps programs including Peace Corps, Teach for America, AmeriCorps, City Year, Coro Fellows, JVC and others. We will also give special consideration to individuals completing undergraduate majors in health or pre-professional health disciplines. Transcripts demonstrating successful completion of a bachelor’s degree from an accredited college or university, with a cumulative grade average of a B or better. Graduate Record Examination scores (GRE). In lieu of the GRE, we also accept the Graduate Management Aptitude Test (GMAT), the Medical College Admissions Test (MCAT), and the Law School Admissions Test (LSAT). Scores must be less than five years old. Currently, we have no minimum score requirement. Current Brown School MSW students must also supply a GRE, GMAT, MCAT, or LSAT score that is less than five years old. The Brown School GRE code is 3867. A minimum TOEFL score of 575. Exceptions are made for students whose primary language is English, or students who have studied in the United States. Proof of financial funds to cover educational and living expenses for an academic year. Students need to show proof of tuition fee and annual expenses in U.S. dollars by completing a financial affidavit. Apply online for university and scholarship in the same form. Receive answer on application status 6-8 weeks later. Completion of an analytical essay that describes a major public health issue of concern to you. Discuss key factors or issues that must be understood before solutions can be developed to address or alleviate the problem. Also discuss opportunities and challenges likely to surface in seeking a solution. Three letters of recommendation from professional and/or academic colleagues.